As an ETHS grad, you had friends who were ambitious, but who did not make it to college. Or, who left college early with debt but no degree. ​Evanston Scholars was founded by Steve Newman, ETHS alum (Class of 1987) and 20-year English teacher, to provide the support system many students need to succeed in college. 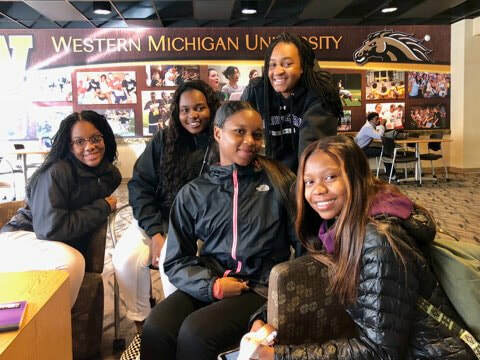 Evanston Scholars serves a diverse group of ambitious Evanston students who are tradtionally first-generation college entrants, from low-income backgrounds, and students of color, starting with the college admissions process and continuing through college graduation. Evanston Scholars is a recognized 501(c)(3) tax exempt organization and contributions are tax deductible. Our federal tax ID number is 90-0685357 . ​​$3,500 Provides a Scholar and their family with a year of services, including workshops, college counseling, and mentoring. ​$20,000 Provide Supports one Scholar through all six years of the Evanston Scholars program.